Any country with some of the highest mountains in the world like Nepal is going to be a great destination for Trekking-related activities. But perhaps what is lesser-known about Nepal is the wide variety of adventure sports possible here. From jumping off platforms (tethered or not), sailing through the air, rushing down rivers and whizzing down roads on two wheels, there are adventure sports to suit almost any interest. Plus, because of the close proximity of adventure activity sites from each other, it’s possible to fit many different sports into the same trip. If you’d like to try lots of different activities, Nepal is the ideal place to do so. Pokhara is the main hub for adventure sports, and closer to Kathmandu, a string of rafting and other adventure sport operators along the Bhote Kosi River offer various activities. Here are 10 amazing adventure sports you should try in Nepal. As many parts of Nepal are very remote, with poor (or no) road access, horses are still used by some rural people as a primary means of transportation. This is good news for horse-loving travellers. Horses are especially important to the people living in the trans-Himalayan regions of Nepal (those areas ‘behind’, or in the rain-shadow of, the Himalayas). Multi-day horse-riding trips can be taken throughout Nepal, from the Kathmandu Valley--where you will visit semi-rural communities on the edge of the city--to the wilderness of Mustang. 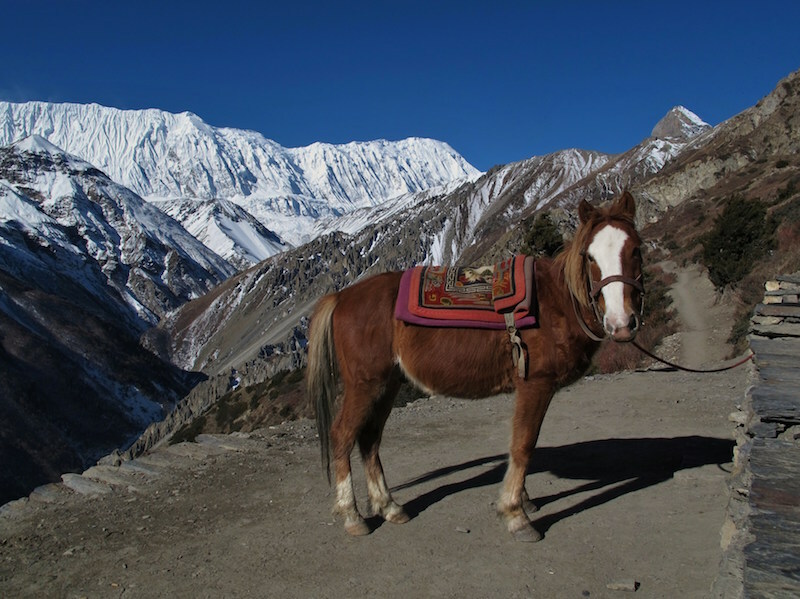 (And to clear up any confusion--mustang horses and the northern Mustang region of Nepal are completely unrelated. The name of the region is a corruption of the Tibetan mun tan, meaning ‘fertile plain’. The horses are free-roaming horses of the American West. You won’t find mustangs in Mustang). 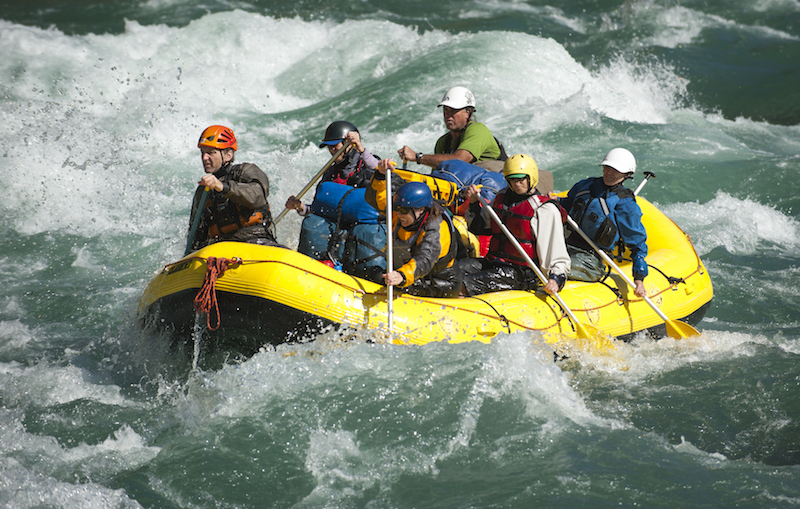 Nepal’s Sun Kosi River has been called one of the top-ten white-water rafting trips in the world. This six to ten day trip takes you from the hills just outside of Kathmandu all the way down to the plains bordering India. But if a multi-day trip doesn’t appeal, there are many shorter ways to get a scenic adrenaline rush. The Bhote Kosi and Trisuli Rivers are ideal for single-day trips, while the Kali Gandaki, Marshyangdi and Lower Seti are good for two-three day trips. The rivers of Nepal offer some of the best white-water kayaking in the world. And while first-descents down unexplored rivers are still possible, most travellers will want to stick to better-chartered routes, such as the Trisuli. That river, close to Kathmandu, is an ideal place to learn to kayak, as beginners’ kayak clinics take place there all the time, on calm stretches of water. For more experienced kayaks, Nepal offers a lot of white-water thrills and multi-day kayak trips, such as on the Sun Kosi or Tamur rivers. If the thought of gracefully gliding above mountains and lakes, with nothing but the sound of the wind rushing past (and your own heartbeat pulsing in your ears!) appeals to you, then you should try paragliding. 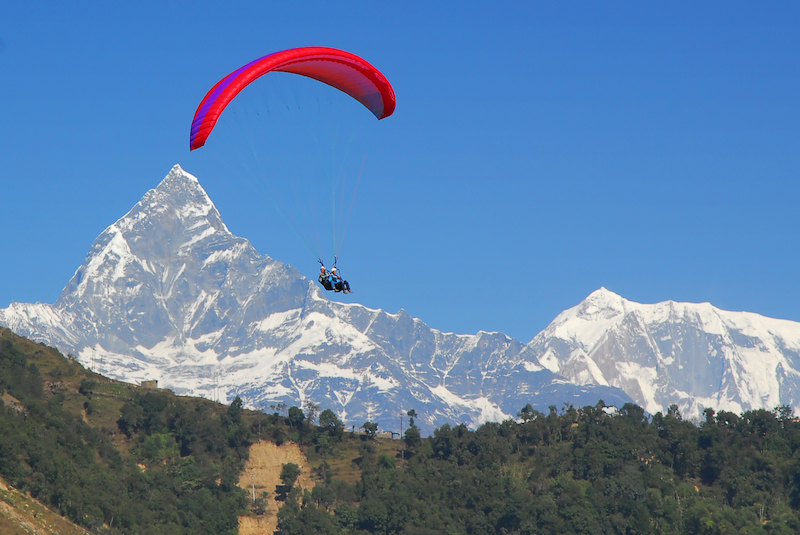 The lakeside city of Pokhara is renowned for its great paragliding. Here, you can soar amid the snow-capped Annapurna Himalayas, and the sparkling waters of Fewa Lake below are just the icing on the cake. All beginner gliders will go tandem, with a guide. If paragliding sounds a bit too, well, mainstream, have you considered parahawking? This lesser-known adventure sport combines paragliding with falconry, and was born in Pokhara. In fact, it can only be done in Pokhara. Rescued and rehabilitated birds of prey (such as vultures) accompany paragliders in the air. They are able to guide gliders to the best air thermals, as they naturally do so themselves to conserve energy when flying. Parahawking is a unique and exhilarating combination of adventure sport and ecological conservation, as all proceeds from flights go towards vulture conservation projects in Nepal. You can bungy jump in two spectacular locations in Nepal--The Last Resort, 100 kilometres from Kathmandu, on the highway to Tibet, and from a high steel tour at Hemja, near Pokhara. At The Last Resort, the jumping-off point is a suspension bridge 160 metres above the Bhote Kosi River, surrounded by thick forest and terraced farmland. There may be no better place in the world to be suspended upside down from an elastic tied around your ankles! Not to be confused with ‘canyoning’, the canyon swing can also only be done at the Last Resort. The Last Resort’s 160 metre canyon swing is the highest giant swing in the world! Bungy jumps and canyon swings go from the same bridge above the Bhote Kosi. The difference is that instead of jumping head-first, like during a bungy jump, and then bouncing on an elastic cord from your ankles, you swing by jumping upright. After a 100 metre freefall, the cords suspended from your waist catch you, and you swing back and forth through the canyon at 150 kilometres per hour! 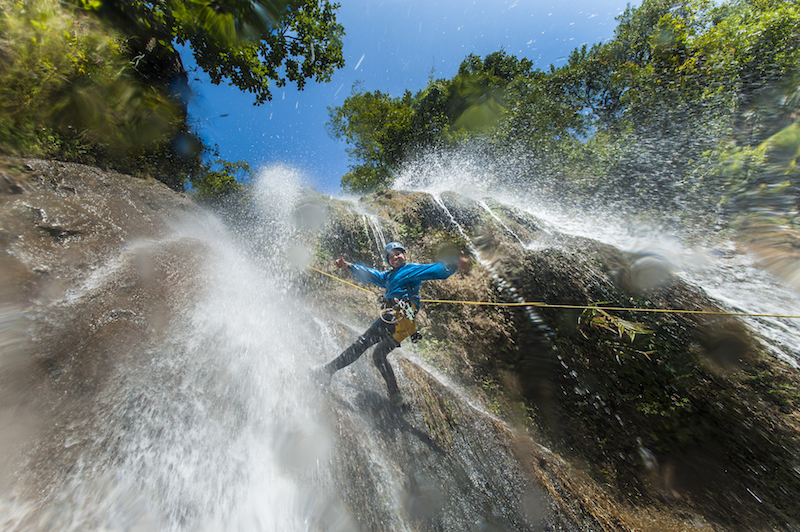 Canyoning is the sport of abseiling down waterfalls, jumping into pools, and sliding through canyon walls. Canyoning is nature’s answer to water-parks, with much better views! Expect to see beautiful waterfalls of various heights, and lovely clear pools for swimming in. Although canyoning takes a bit of arm strength, it’s not as difficult as it sounds, and safety ropes will help you the whole way. There are various places around Nepal where it’s possible to go canyoning, including around The Last Resort on the Bhote Kosi, near Mugling (half-way between Kathmandu and Pokhara) and around the Pokhara area. Although much of Nepal is mountainous, making mountain biking in these regions better suited to experienced cyclists, there are also many hilly and flat parts of the country to explore. Around the Kathmandu Valley, trails in the gentle hills are a good intermediate option. The Terai is completely flat, so is a beginner’s option. Good mountain bikes can be rented from Kathmandu and Pokhara (but nowhere else), and organised tours arranged. It’s also possible to combine trekking and mountain biking in Nepal. Trekking and cycling provide different types of physical challenges, and allow you to experience the landscape and terrain in different ways. One great trip is to hike to the holy site of Muktinath, from the city of Jomsom in Lower Mustang, and then cycle back to Pokhara. Although trekkers have been annoyed by the roads constructed in the Annapurna region in recent years, they are better news for cyclists. Travelling by road in Nepal--whether in the cities or more remote areas--can be a hair-raising experience, to say the least. But motorbiking will give you greater freedom than relying on buses or taxis--you can stop when you want, follow smaller trails when necessary, and zip around (inevitable) traffic jams. Royal Enfields are the preferred vehicles for longer trips and if you’d rather not set off by yourself, join a short or longer organised Motorbiking trip around the Nepal's Himalayas.